Whether you have an infant with attachment or an adolescent with attitude, introducing kids to a new caregiver can be trying for the children, the babysitter, and you as a parent. The best way to prepare your kids for this change is to plan ahead. Don’t have the new babysitter make his or her first arrival at your home five minutes before you’re planning to leave for an important event. You’ll be rushing around getting ready as well as giving last-minute information to the babysitter, and the short transition period will not make for an easy good-bye. Abrupt change-overs leave children feeling out of sorts and anxious, and babysitters a bit nervous. By doing as much prep as possible before bringing the sitter to “go live” on an actual job, everyone will feel more comfortable. You probably will have gone over many of these things during the interview process, but email this list to your new babysitter anyway so that all of it is written down and in one place. That way, there is far less possibility for potential misunderstandings or “I didn’t know” situations to arise. The babysitter will have time to review the sheet thoroughly, think about it, and contact you with any questions or concerns that haven’t already been addressed in your previous communications. Ideally, the next step would be to invite the babysitter over for a short working visit (paid, of course). You might spend a half an hour together with the children, observing them playing while talking and interacting. This will alert you to how the children will receive the new babysitter. You will have time to talk with the children about who this person is and how often she will be watching them. The babysitter can introduce herself and ask questions of each child. You can also do a tour of your home at this time, which will make the babysitter feel more at ease during the first job. Then you might leave to go for a walk, take an exercise class, or go grocery shopping; just a short excursion, no more than an hour, which will give the babysitter a chance to interact with your children on her own. When you return, you can talk with the children and the babysitter about what they did while you were gone and see if there were any problems that needed to be resolved. When the babysitter does show up for the first job, have her arrive at least fifteen minutes ahead of your departure time. It may cost a few dollars more, but it will let you finish getting ready without worrying about the kids, and you and the babysitter will have time to address any last-minute concerns. 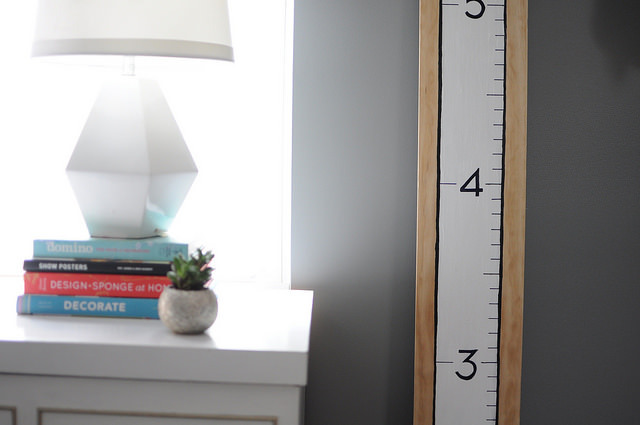 This may seem like a lot of work up front, but it will surely minimize your headaches later. A couple of hours is all it takes to make your children feel secure and happy with their new babysitter. The Babysitter Interview: What Questions to Ask? Hiring a new babysitter can cause anxiety for both parents and children, whether it’s the first time you’re leaving your infant with a stranger or you have used sitters with your kids for years. The days of asking a next-door neighbor to watch your kids are long gone. Modern times have understandably made us all more wary about the people who care for our children and the treatment our children receive. In order to find the best babysitter for your family, it is important that you screen a few candidates and compare them before deciding whom to hire. However, it can be hard to strike the right balance between an “anything goes” approach and an FBI interrogation! You want to give the impression that you are very involved and concerned, but you also don’t want to scare all potential sitters away. Preparing a list of standard questions will help you to stay focused yet relaxed and friendly during a babysitter interview. Here are a few suggestions on what to ask. Remember, the “right” and “wrong” answers are entirely up to you. The first questions you ask will probably be straightforward information-seeking questions. Do you have a driver’s license? Do you have your own transportation? Are you in school? Do you work? If yes, where? When are you available to babysit? How much notice do you need before a job? How long have you been babysitting? What is your childcare experience? Are you certified in CPR or first aid? Do you know how to use a car seat/high chair/stroller/playpen? Asking the interviewee’s opinion on various subjects will give you an idea of the person’s general outlook and value system. Remember that no candidate is going to be perfect, so keep these questions within reason and applicable to a sitting job. What do you like most about babysitting children? What do you dislike about it? How would you discipline a child who was not behaving? Do you feel comfortable driving the children in your vehicle? In one of our vehicles? What ages do you enjoy working with? Are you comfortable with caring for an infant, including feeding and diapering? It’s a good idea to ask one or two “What if?” questions of every babysitter candidate to give you some idea of the babysitter’s analytical thinking skills, knowledge base, life experience and common sense. Here are a few examples, but you should make up your own questions based on a specific situation in your household. When conducting an interview, try to do it in person or over the phone. While technology such as email, social networking, chatting, and texting is convenient in many situations, it’s not an ideal way to get a sense of a person’s true character. Facial expressions, body language, and tone of voice will round out your complete picture of a person. It’s almost impossible to get a vibe from written words alone, and sometimes those vibes are crucial input when making a final decision. American ex-pat, Pamela Druckerman, caused quite a stir last month with the release of her book, Bringing Up Bébé: One American Mother Discovers the Wisdom of French Parenting . In the book, Druckerman opines on the differences between — and merits of — French and American parenting styles. With such a busy schedule, how do you find the time for yourself? I work full-time and do freelance on the side because writing is what I love to do. For me, “time for me” typically consists of working on freelance articles and essays. Because I’m on deadline and owe these things to someone else, that means I make time for it (early before my son wakes up, during my lunch break, after my husband gets home from work). I think I’m like many other women, in that I usually prioritize other people’s needs before my own–except that I’ve managed to make one of those outside needs something I’d really rather be doing. Outside of that, (and a book that I’m slowly writing), I’ll have to admit that I’m pretty terrible at making “me time.” Before my son was born, I did yoga every morning. Now those early morning hours are spent either working through articles due later that day or trying to get a shower in before the chorus of “MOMMY!” begins. It’s been noted that fathers take more true time for themselves (i.e. activities that don’t involve the kids or household) than mothers do. Why do you think this is? My guess–given what I’ve seen within my friends’ families–is that women tend to become COO of the household once kids arrive on the scene. In particular managing schedules tends to fall under the mother’s domain, and maybe being entrenched in managing the juggle makes it all the more unreasonable seeming to squeeze in time for oneself. Even the phrase “work-life balance” implies that mothers having time for themselves is an achievable proposition (one where a full work schedule, happy children, clean home, and personal fulfillment occur with happy equanimity if you can just plug responsibilities into the right slot in your day). Despite my friends having nice, feminist-minded husbands, once they had kids, like magic, meal planning and cooking became primarily the woman’s responsibility. That’s on top of work schedules comparable to their husbands’. I’m not sure why that happens. Maybe there is something latent about turning into our own parents. Maybe it’s societal pressure to at least look like we can (happily) manage it all. Maybe we’re just too polite. I have an older, male friend who told me it never occurred to him how little time his wife took for herself–and just how little he was really helping–until he overheard her women’s lib group raging about the same problem in their own homes. Why is it so important that mothers carve out time for themselves? I really enjoyed your recent Babble article on “Why I Want to Be a French Mom.” What do you think American mothers can learn from French mothers? It’s not really that I want to be a French mom per se. I want to live in something like the French system where families are valued and women are not expected to process babies out of infancy on a collapsed timeline so they can rush back to cubicle life. A pal in Albania recently told me that there, women are given a year of maternity leave at 80 percent of pay. He said, “To think that American mothers (and fathers) aren’t given the opportunity to bond with their children, and a former communist dictatorship gives mothers a year of time to spend with their child is a shame!” I agree. Our system forces many women out of the workforce or pushes others to go back to work far before they are mentally and physically ready. What we can learn from French mothers–or parents anywhere who are treated fairly as workers and those raising the nation’s next generation–is that the sky will not fall if we fight for family and medical leave policies that make sense. Sarah Stankorb is a contributing writer for CNN Money/Small Business. Her articles and essays have appeared in publications like Salon, GOOD, Babble, and The Morning News. If you’re anything like me, having a baby is both an exciting and terrfiying experience. It’s not so much having the baby (as in, bringing home and keeping it) as it is actually having the baby (as in, the entire baby-removal process). Here’s advice from guest blogger, Alan Cassidy, on what expectant mothers can do to be as prepared as possible for the big event. By the time nine months passes, most women are more than ready for their pregnancy to come to an end. That does not, however, mean that they are ready for the actual delivery process or bringing home a new baby. Planning ahead can make all the difference when it comes to actually being prepared for childbirth. This means thinking about the things that you and your baby need so that delivery day is as smooth and memorable as possible. When you’re in the throes of labor and are ready to head to the hospital or birthing center, packing a bag isn’t going to be at the top of your list of things to do. Preparing an overnight bag several months before the anticipated delivery date can eliminate the last minute scramble of deciding what you’ll need to take with you. Packing items such as hair clips for long hair, lip balm and lotion can help in terms of comfort during labor. A nightgown, bathrobe, nursing bras, slippers and toiletries are also items that can help a mother feel more comfortable before and after delivery. The idea of labor and delivery can often bring about some nerves and many questions for expecting mothers. Attending childbirth education classes can prepare mothers-to-be by teaching various techniques to deal with pain and discomfort, help recognize the signs of labor and provide you with the techniques to cope with pain and discomfort. There are several different types of childbirth classes that can be taken, such as Lamaze or Bradley Method classes, each teaching different techniques. Choosing the right class depends on how you plan to deliver your baby. For example, the Bradley Method teaches techniques on how to deliver a baby free of pain medication. Whether your delivery date is a scheduled one or you’ve gone into labor before hand, the last thing you’ll want is to fill out paperwork. Some hospitals allow mothers-to-be to preregister. This allows you to take care of some of the paperwork before you’re ready to deliver. When preparing for the delivery of your child, there are so many things to consider it’s only natural a few things may not come readily to mind. If you’re positive that your baby’s birth will be a natural one, it may come as a shock if your doctor recommends a cesarean, or C-section. Discussing this with your doctor in advance can help you to both prepare for the possibility, and understand what to expect if the procedure becomes necessary. Cord blood banking is another consideration sometimes overlooked by expectant parents. This is the collection and storage of your baby’s umbilical cord blood, and requires preparation before the delivery date. You will need to order a kit is used by the hospital to collect your baby’s cord blood. Cord blood may be used as a potential medical treatment of certain diseases. Want to share your parenting advice or funny stories with the SittingAround community? Send us an email and request to be a guest blogger! Have you ever found it odd that we tell our kids a fairy tale about someone who breaks into the house in the middle of night and steals teeth from under their pillows while we are sleeping? 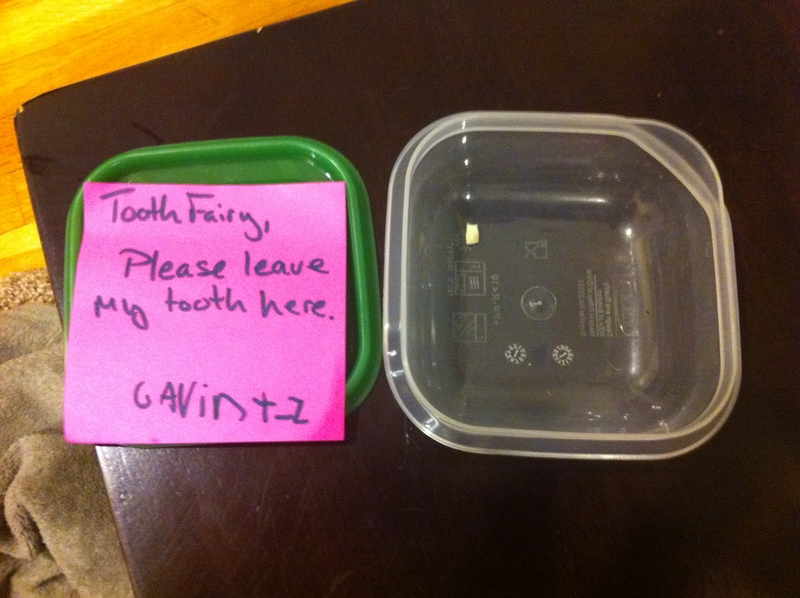 If you have, you’re like my 6 year old who lost his first tooth today. Like many of us, he processes the events of the day as goes to sleep. And apparently the horror of the whole mafia-like forced-to-sell situation didn’t dawn on him until about 10 minutes after bedtime. Enough time had passed that I thought he was fast asleep, and I was browsing reddit in my room on the other side of the house. Our downstairs neighbors just had a baby, so when I heard muffled crying I assumed it was, per usual, the downstairs infant. I arrive in my son’s room to find him sitting up on his bed, having completely covered himself in his blanked as a protective cave, crying like he was powerless to stop something he loved from being destroyed. I sit down and start to comfort him and this is when we began our usual game of “wait wait, what’s wrong… yes, no, I don’t want to tell you.” It’s not a game I particularly like, but he insists on playing and can’t be persuaded otherwise. Dad: “Did you get hurt? Blanket cave shakes side to side… I think that’s a no. Blanket cave shakes side to side. Short pause, blanket cave shakes side to side… maybe there’s something there. The peak of blanket cave mountain is lain upon my lap for comfort. The crying subsides to a soft whimper and a sniffle. A hand extends from blanket cave and points to the floor, then the window. This is real progress! I have absolutely.no.idea. what pointing at the floor then the window could mean, but the blanket cave is attempting to communicate! Blanket cave sniffles, shakes side to side, then a child emerges, shuffles to the floor, points morosely to his colored pencil box, then to the window, and quickly re enters blanked cave. This is the worst game of charades I have ever played. Now, you have to imagine my puzzlement at this point. You as the reader have the benefit of knowing that this is a story about the tooth fairy, and even with that advantage I’d bet that you’re having trouble figuring out what a colored pencil box and a window ledge have to do with dental-larceny. I was clueless, and Gavin was still crying. After a few more rounds of guessing, and some comforting, he saw that I didn’t get it and shuffled to the floor to get his pencil box. Another major victory, we’ve established verbal communications! At this point I see that he has hidden his tooth in the pencil box. That’s a really great, if somewhat perplexing, hiding spot for a tooth. Child: “I don’t want the tooth fairy to take it.” Full cry returns. Usually epiphanies are great. Finally seeing the pieces and how they fit together is usually an exhilarating feeling. Not this time. Sudden clarity that a pointless lie is causing substantial distress for your child is a horrible feeling. This is the point where I get a bit mad. F everything about this. Who the *#@#$ @#$@# is feeding my kid these elaborate lies? I briefly consider going full truth. If you’ve ever tried to tell a tired, distraught child that they’ve been lied to and tricked, please let me know how that went. He was still whimpering, and I couldn’t bring myself to make the world less magical on top of everything else he was dealing with. So, I enter a phase known to anyone ever almost caught in a lie; I try to extend the lie. Finally, the catch in his breath tells me he thinks something in what I’ve just said might work. I see him looking at a stack of post-it notes… He’s processing how the note thing might work. I start processing how the note thing might work — where do we leave this note, what does it say, we can’t leave it on the front door because we don’t know where she intends to break in, how do we even know she reads English? I look at his stack of multi colored post it notes, the small Tupperware container the tooth, and the aforementioned colored pencil box, and I suddenly think I’m parenting-freaking-macguiever, and I might be able to defuse this bomb. 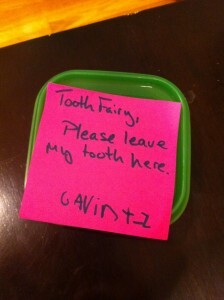 Crayola pencil and pink post it note in hand, I start writing a note to the tooth fairy. Please leave my tooth here. Child signs his name in the most adorable mixed case. We put the post-it note on top of the case, put the case in the window (apparently he’s been told that tooth fairies use windows when they decide to break-and-enter), and his crying stops. He asks for and gets another story and finally goes back to sleep. I am nothing if not strong-willed. Bullies don’t make me fearful; they make me indignant. Example: When I was three years old, I was out shopping with my mother. My brother had just been born, and I was climbing up a store display, trying to reach a teething ring for him. An older woman came by and told me (very directly, I might add) to, “Hold [my] horses.” Hold my horses, indeed. I marched right up to her and clarified that: 1) She was neither my mother; nor 2) Was I the owner of a single horse, much less a group of horses. As direct as I have been with bullies in my own life, I am not entirely sure how to handle them when it comes to my son. I never want him to feel picked on, but I know that my intervening might cause more harm than good in the long run. I want him to be confident to stand up for himself (knowing, of course, that I have his back). So, when I observed his first instance of playground bullying last week, I was at a loss for what to do. School had just let out and he wanted to play on the playground for a bit before we headed home. Ever the patient child, he waited in front of the swings for 15 minutes until one opened up, even losing out on a few open swings to more aggressive children. Finally, a boy smaller than my son (but a year or two older) relinquished his swing. Happily, Gavin ran over and climbed up. As it so happened, the older boy did not feel his turn was over and, a minute or so later, he returned, demanding Gavin get off the swing. Gavin started to protest. So the older boy hit him and then shoved him off the swing. Appalled, I watched Gavin run and hide under the playground bridge. But the worst part? The boy’s mother was standing right there, watching the entire thing. She didn’t so much as bat an eyelash. Not entirely sure how to act, I went to console my child who was crying hysterically and horrified at the other boy’s behavior. Meanwhile, I was horrified at the other mother’s behavior, behavior which, at this point, consisted of avoiding my angry glare. I managed to calm Gavin down and we went over to the bully on the swing. “Excuse me,” I said, my face in his. “You need to apologize to this little boy.” I pointed to Gavin, who was standing half behind me. The bully started to protest that his turn wasn’t over and therefore, he was in the right. “It doesn’t matter,” I said, more firmly this time. “You don’t hit or shove other kids. And you need to apologize to him.” Realizing he wasn’t going to win, the bully muttered something and hopped off the swing. Gavin, still sobbing, but regaining his confidence, hopped up in his place. I watched the boy and his mother leave the playground. All the while, she avoided my stare. Not once did she scold her son. In fact, she didn’t even talk about it. Which was really befuddling. As a mother myself, I couldn’t imagine watching my child hurt someone and not reprimanding him for it. I couldn’t imagine ignoring what had happened, because that would be doing a disservice to him as a person. And, it got me wondering: how much of a role do we as parents play in the types of people our children become? It had come to my attention that there is a LOT of hate out there in the Mom-osphere for Caillou and, well, it just seems sort of excessive. No, I am not going to defend Caillou. His inexplicably bald head is perplexing. His sing-song voice is maddening. But, as the mother of a five year old, I have seen a lot of kids television. And, let me just say, there is a whole lot of crap out there worse than that eternally irritating optimist. What could be worse than Caillou, you ask? Max and Ruby. “This show makes me want to call cartoon CPS,” says Shannon Schmid. “Who is watching these bunnies?? Where are their parents? Does the grandma bunny that occasionally shows up have custody?” This is a question that has baffled me for years, as well. Also, what is Ruby’s problem? Girl is on a serious power trip. Yes, Max is basically mute, but if I had a sister like Ruby, I doubt I’d talk much either. Wow, Wow, Wubbzy. I think what’s “wow wow” is that no one has had a seizure watching this show. Flashing colors, horrible animation, annoying songs. Someone tell me anything that is redeeming about this show. Because now, the theme song — which may actually be the very worst part — is stuck in my head, head, head. Spongebob Squarepants. “Spongebob has officially been banned in our house due to all the potty humor and fighting,” says Megan, mom of two. Interesting. My son watched Spongebob for the first time this fall, right around the time this happened. I’m not blaming Spongebob for the proliferation of “butts and wienies” per se. Actually, you know what? I totally am. Oobi. For those lucky ducks who haven’t seen it, Oobi is a talking hand with eyes. Yo Gabba Gabba. I know, this is a polarizing one. There are a lot of people who really love Yo Gabba Gabba. Unfortunately, I happen to HATE Yo Gabba Gabba. I mean, I give DJ Lance credit for being man enough to sport a neon orange spandex jumper day in and day out. But, there’s an, um, “elephant” in the room. Says Megan, “That big orange bumpy phallic guy with one eye is just creepy. And the songs are about equal to listening to constant whining.” Do you mean to tell me there’s NOT a party in your tummy? What do you think? Are these shows worse than Caillou? Or, as Eileen Wolter suggests, is tolerating Caillou after all these years really just a form of Stockholm Syndrome? Yesterday, I had the incredible honor of being a guest at TEDx New England’s inaugural event. TED (which stands for “technology, entertainment, and design”) is a series of short speeches on “ideas worth spreading.” Yesterday’s event was hosted by WGBH — in studio, no less — and MC’d by New York Times columnist David Pogue (who, by the way, happens to pretty damn funny). The talks were nothing short of inspiring. We heard from: MIT Ph.Ds developing sustainable, safe nuclear power, an artist who builds living sculptures for urban areas, the corporate responsibility-focused Dean of Harvard Business School, to name a few. But, I’m partial to anything that helps empower children. That’s why Katie Smith Milway and John Hunter made the biggest impression on me. John Hunter has been a fourth grade teacher for over 30 years. While he was an undergraduate, he traveled throughout Asia and became fascinated by the principles on non-violence. Hunter wanted to find a way to teach his students how to embrace non-violence in an often-violent world. Out of this desire grew the World Peace Game — a multi-month, hands-on simulation where students are divided into four countries. Some countries are rich, some are poor. Some are powerful, some are weak. They face external economic, social, and environmental crises, along with the imminent threat of war. These nine and ten year old students work together to resolve conflicts, avoid war, and leave each of the four countries more prosperous than when it started. Hunter’s game (and the principles that underlie it) teach children real-world issues along with self-awareness and leave them better prepared to become citizens of the world. I can’t wait to see all the great things to come from TEDx New England and look forward to participating in more inspiring events! If you’re interested in TEDx, checkout their website to see when the next talk near you will be.